Although rare among adults in industrialized countries vitamin B12 deficiency is registered among 6% of those who are 60 and older, and this percentage increases with age to nearly 15%, according to surveys in the United States and the UK. In addition, close to 20% of the elderly have marginal vitamin B12 levels. Other at-risk population groups include infants and young children, vegetarians and vegans, especially pregnant women who are vegetarians or vegans due to the increased demand for vitamin B12 during pregnancy and breast feeding, and those with the gastro-intestinal conditions that impede vitamin absorption. normal levels at 351-664 pmol/L or 475-900 pg/ml. Another test, the Schilling test, is used to asses whether vitamin B12 is absorbed properly. Although the dietary guidelines for vitamin B12 are set at 2.4 mcg/day, research indicates that this target may be inadequate even for the healthy population, not to mention those with poor vitamin absorption. One study indicates that in healthy people aged 18-50 with normal absorption an intake of 4-7 mcg/day of vitamin B12 from foods is associated with optimal blood levels. (Daily intake of 4 to 7 microg dietary vitamin B-12 is associated with steady concentrations of vitamin B-12-related biomarkers in a healthy young population. Bor MV, von Castel-Roberts KM, et al. Am J Clin Nutr. 2010 Mar; 91(3):571-7). insufficient consumption of the foods of animal origin which are the most viable food sources of vitamin B12. reliance on blue-green algae (cyanobacteria, e.g. spirulina) as a main source of vitamin B12 among vegans and strict vegetarians. This algal source, although rich in B12, provides this vitamin in a form referred to as a pseudovitamin B12 that is inactive in human body. (Characterization and bioavailability of vitamin B12-compounds from edible algae. Watanabe F, Takenaka S et al. J Nutr Sci Vitaminol (Tokyo). 2002 Oct;48(5):325-31). 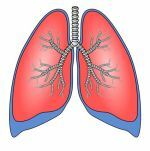 the absence of intrinsic factor (IF), a protein secreted by the stomach lining which binds with vitamin B12 and transports it through the wall of the small intestine into the bloodstream. IF is essential for the absorption of vitamin B12. The production of IF declines with age and is the most common cause of vitamin B12 deficiency among the elderly. insufficient production of hydrochloric acid (stomach acid). Since vitamin B12 is bound to protein in food, stomach acid is necessary for breakdown of proteins and isolation of B12. Medications that inhibit gastric acid production may contribute to vitamin B12 malabsorption. atrophic gastritis or chronic inflammation of the stomach lining, a common condition among those over 65. This condition leads to the breakdown of IF and improper functioning of the acid secreting cells which prevents absorption of vitamin B12. bacterial and/or parasitic overgrowth in the digestive system causes competition for vitamin B12 between bacteria/parasites and a human host, leading to vitamin B12 deficiency. high intake of folate, although not a direct cause of B12 deficiency, allows DNA synthesis to continue in the absence of B12, “masking” the deficiency and allowing it to progress which may result in irreversible neurological damage. celiac disease (severe gluten intolerance) which damages the stomach lining may be a cause of vitamin B12 deficiency. Crohn’s disease, inflammatory bowel diseases (IBD), gastric surgeries may cause vitamin B12 deficiency. 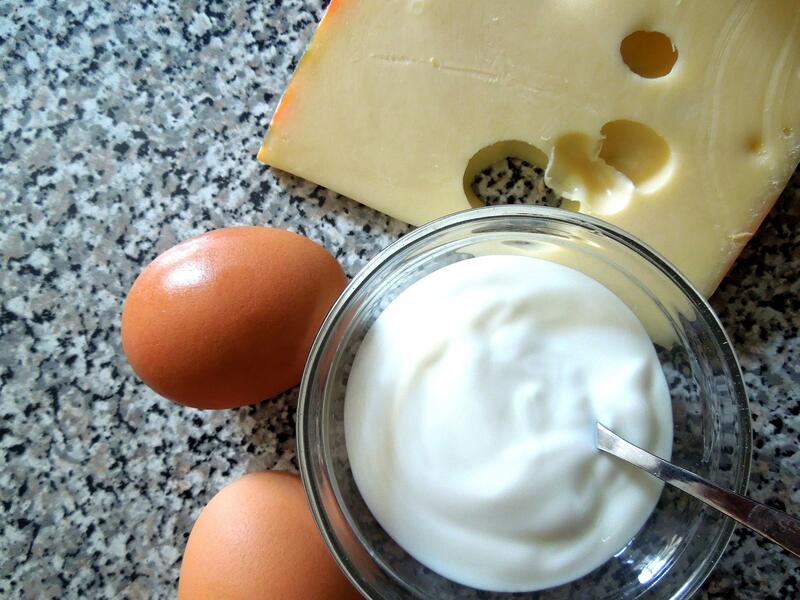 calcium, iron and vitamin B6 assist in vitamin B12 absorption. These nutrients’ deficiencies may reduce vitamin B12 absorption. serum vitamin B12 is transported throughout the body by special proteins called transcobalamins. Another group of proteins, called trafficking chaperones, assist in intracellular metabolism of B12. Genetic mutations that prevent or limit the production of these proteins may be a cause of vitamin B12 deficiency symptoms (with the serum levels being normal), because vitamin B12 is unable to be transported to its destinations. These genetic mutations are very rare. certain medications, such as sleeping pills, estrogen, oral contraceptives, antacids, anti-epileptic drugs, anti-gout medications, anticoagulants, potassium supplements can either destroy vitamin B12 or reduce its absorption. smoking and alcohol affect vitamin B12 metabolism. An average adult body contains 2-5 mg of vitamin B12, with about 80% of it stored in the liver, some in the kidneys. Since vitamin B12 can be stored, re-absorbed into the liver, and is being used up rather slowly at the rate of 2-4 mcg a day, vitamin B12 deficiency may take 4-5 years of insufficient dietary intake or the absence of intrinsic factor to manifest itself. Vitamin B12 is required in the production of the nucleic acids that make up DNA, the genetic material of our cells. Rapidly produced cells, such as white blood cells, use vitamin B12 at a higher rate. Sufficient amounts of B12 are crucial for the proper functioning of the immune system, because white blood cells are constantly on a look-out for abnormal (cancerous) cells, cellular debris and pathogens (bacteria, viruses, parasites) that they identify and destroy. In the presence of vitamin B12 deficiency insufficient amounts of white blood cells are produced and the existing ones cannot function to their full capacity leading to impaired immune function and increased susceptibility to infection. As a result, unchecked pathogens lead to disease, elevated oxidative stress, inflammation which all drain the body’s glutathione resources. Also, our glutathione levels are affected by unsufficient levels of vitamin B12 in another way - vitamin B12, together with folate (B9) and vitamin B6 (all three are glutathione cofactors), participates in the methylation cycle (or methionine cycle) which transforms amino acid methionine to homocysteine and back to methionine, and the closely related transsulfuration cycle (mediated by B6) which converts homocysteine to cysteine and taurine. Cysteine, a byproduct along the long chain of complex reactions of these cycles, is used by cells to make glutathione. In fact, according to the recent study “Blood glutathione redox status and global methylation of peripheral blood mononuclear cell DNA in Bangladeshi adults” (Niedzwiecki MM, Hall MN, Liu X et al. Epigenetics. 2013 Jul;8(7):730-8. ), approximately 50% of the cysteine used in the production of glutathione is derived from the conversion of homocysteine to cysteine through the transsulfuration pathway. Thus, vitamin B12 deficiency may lead to shortage of cysteine produced from methionine which can impair glutathione production considerably since cysteine is a limiting factor in glutathione production. Also, vitamin B12 is necessary for the proper cell formation in the digestive tract. This vitamin's deficiency leads to nausea, vomiting, loss of appetite, diarrhea, sore mouth and tongue and poor absorption of nutrients from food, many of which are glutathione cofactor vitamins and minerals that assist in the formation of a glutathione molecule, its recycling and the proper functioning of the whole glutathione enzymatic system. Glutathione’s relationship with vitamin B12 is that of mutual benefit. Glutathione protects vitamin B12 trafficking chaperone called bCblCpro, the protein involved in intracellular vitamin B12 metabolism. This protein is highly sensitive to heat at 42 C (107.6 F), and the reduced (active) form of glutathione, GSH, has been found to stabilize it. Glutathione also increases another chaperone’s (CblC) binding affinity for vitamin B12. This evidence indicates that availability of glutathione is necessary for proper metabolism of vitamin B12. Glutathione protects vitamin B12 from depletion by various chemical compounds resulting from metabolism, thus playing an important role in preventing the diseases caused by vitamin B12 deficiency. Glutathione is also required to transform cyanocobalamin form of vitamin B12, most commonly used in supplements and fortified foods, to metabolically active forms that can be used by the body (see details in the paragraph The Best Form of Supplemental Vitamin B12 below). Treatment with vitamin B12 and folic acid has been shown to improve plasma glutathione levels and the ratio of reduced to oxidized glutathione GSH/GSSG (low ratio is indicative of elevated oxidative stress) in children with autism. Low glutathione levels and high oxidative stress in combination with low vitamin B12 levels are observed in patients with type 2 diabetes and with liver diseases. If the deficiency is caused by the absence of intrinsic factor and malabsorption, the easiest and fastest way to correct the deficiency is to take vitamin B12 in supplemental form or, even better, a vitamin B-complex because all B-vitamins work synergistically with each other; or vitamin B12 injections may be prescribed by a doctor. Up until recently the only way to keep normal vitamin B12 in people with chronic malabsorption has been lifelong vitamin B12 injections that bypass the digestive system altogether. But the recent research indicates that high enough doses of oral vitamin B12 are as effective as the vitamin injections which are much more expensive and require regular office visits. Even in the absence of intrinsic factor vitamin B12 can be absorbed by diffusion – about 1% of a high enough dose, which is usually 1,000 mcg/day. Here is a paper published by a practicing physician where he explains the positive effect of high doses of oral vitamin B12 in the cases of malabsorption: “Swallow your pride” by Ralph Jones, MD. Dr. Jones indicates that “in individuals lacking intrinsic factor (or for any other form of malabsorption) the amount of B12 passively absorbed from 500 mcg taken orally per day is equivalent to a 1,000 mcg injection per month”. Another review “How I treat cobalamin (vitamin B12) deficiency” by Ralph Carmel, MD, advocates both vitamin B12 injections initially to start replenishing the diminished stores and high oral doses as maintenance thereafter. Dr. Carmel also provides details on the absorption levels of supplemental vitamin B12. 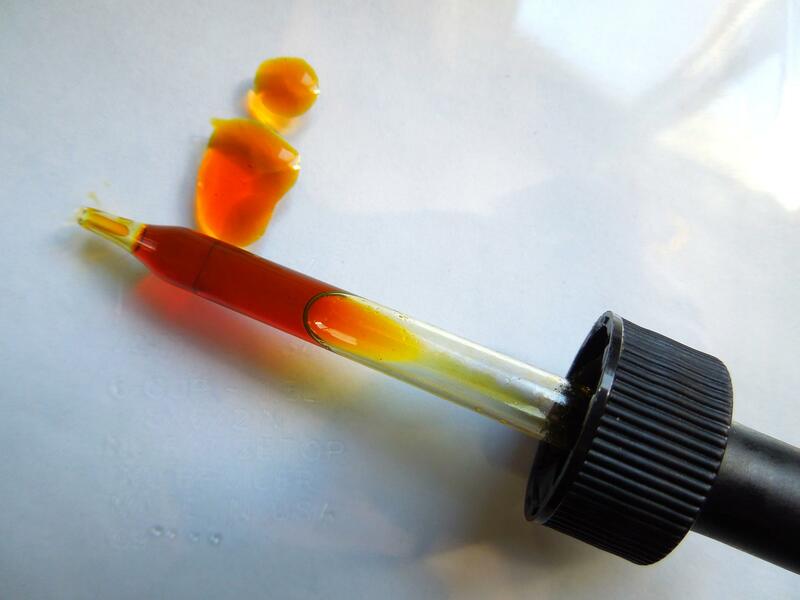 For example, from a single 1,000 mcg dose 13 mcg (1.3%) are absorbed; from a single 10 mcg dose 1.6 mcg (16%) are absorbed. Percentages retained from vitamin B12 injections are considerably higher: 15% and 97% for the same doses respectively. Dr. Carmel warns that oral vitamin B12 is absorbed less efficiently after a meal than on an empty stomach – 1.8-7.5 mcg versus 2.8-13.4 mcg of a 500 mcg dose. Small doses of 5-10 mcg are effective to correct slight deficiencies only in the presence of intrinsic factor, and not in malabsorption diseases which require at least 1,000 mcg oral doses daily. It is estimated that approximately 50% of dietary vitamin B12 is absorbed in healthy individuals with normal gastro-intestinal function. A Norwegian population based study of almost 6,000 subjects indicates that the rate of dietary absorption also depends on the food source: vitamin B12 from dairy and fish is more bioavailable and is associated with higher plasma levels than vitamin B12 from meat and eggs (Dietary sources of vitamin B-12 and their association with plasma vitamin B-12 concentrations in the general population: the Hordaland Homocysteine Study. Vogiatzoglou A, Smith AD, Nurk E et al. Am J Clin Nutr. 2009 Apr;89(4):1078-87). Also, the absorption from foods depends on the amount of vitamin B12 per meal - the intrinsic factor-mediated intestinal absorption system is estimated to be saturated at about 1.5-2 mcg per meal and is ready to accept more vitamin B12 4-6 hours later. Vitamin B12 bioavailability significantly decreases with increasing intake of vitamin B12 per meal. ( Vitamin B12 sources and bioavailability. Watanabe F. Exp Biol Med (Maywood). 2007 Nov; 232(10):1266-74). Vitamin B12 is sensitive to heat and light, so the amounts in food may decrease during storage and cooking. Most researchers and nutritionists agree that vegans and strict vegetarians should take supplemental vitamin B12 at least at a low dose of 5-10 mcg/day, because such plant sources as nori, shiitake mushrooms, certain beneficial microbes (from fermented foods and yeasts) and fortified cereals do not provide sufficient amounts of vitamin B12 to keep plasma levels at optimal levels continually. As I stated above, the daily required minimum of 2.4 mcg may not be enough for optimal plasma levels (Bor MV et al.). With insufficient dietary intake the liver stores of vitamin B12 will become depleted eventually, although the deficiency symptoms may take up to 5 years to develop. Here is the analysis of various plant sources of vitamin B12 and their bioavailability that may be helpful for vegans and strict vegetarians - "Vitamin B12-containing plant food sources for vegetarians." Watanabe F, Yabuta Y et al. Nutrients. 2014 May 5;6(5):1861-73. This review finds nori (dried purple laver) the most viable source for vegans and strict vegetarians at 32.3 mcg of vitamin B12 per 100 g (3.5 oz), however, consuming enough nori daily to meet the B12 dietary requirements may be cost prohibitive. And here is what The Vegan Society has to say about vitamin B12 in a vegan diet. There are four known forms of vitamin B12 in humans: cyanocobalamin, methylcobalamin, hydroxycobalamin and adenosylcobalamin. Methylcobalamin is one of the two biologically active forms of vitamin B12 (the other one is adenocylcobalamin) and the main circulating form capable of being transported through the tissues. These two active forms are also referred to as cobalamin coenzymes. Methylcobalamin is the form of vitamin B12 that enzyme methionine synthase uses in the methylation cycle (methionine cycle) that transforms methionine to homocysteine and back to methionine. 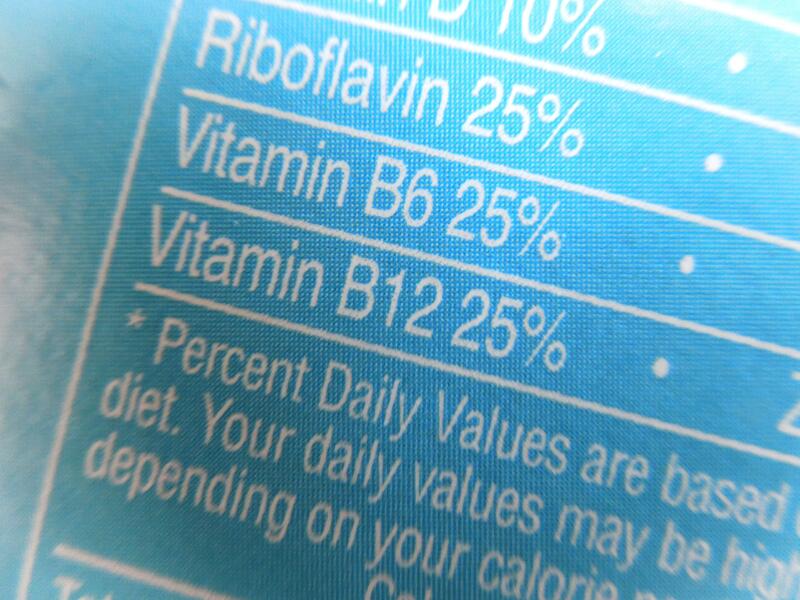 However, the most common form of vitamin B12 that you see on the labels of supplements is cyanocobalamin. This form requires decyanation for it to be used in the methylation cycle. This decyanation of cyanocobalamin requires reduced (active) glutathione which forms a complex with the cobalamin called glutathionionylcobalamin (GS-Cbl) which then can be used by enzyme methionine synthase. GS-Cbl can also be further transformed into both active forms, methylcobalamin and adenocylcobalamin. (Glutathionylcobalamin as an intermediate in the formation of cobalamin coenzymes. Pezacka E et al. Biochem Biophys Res Commun. 1990 Jun 15;169(2):443-50). When you are considering a vitamin B-12 supplement, a B-complex supplement or a multi-vitamin, pick one that provides vitamin B12 in the form of methylcobalamin to be used in methylation directly avoiding the use of glutathione for these complex transformations to the usable forms. 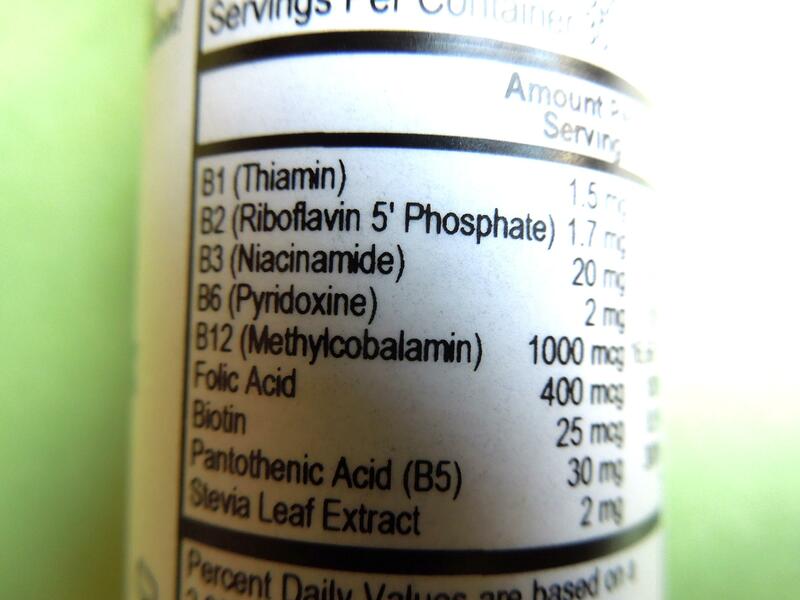 Methylcobalamin is highly sensitive to light, so it is not used in vitamin B12 injections. Cyanocobalamin is the most commonly used form in injections in the US. Toxicity: Cobalamins are generally considered non-toxic. Allergic reactions are still possible, most likely with injections than oral supplements. Ray takes supplemental B-complex as part of his peripheral neuropathy regimen. He used to take one with B12 as cyanocobalamin, however we switched him to methylcobalamin after doing this research. 1. "Glutathione (GSH). Your Body's Most Powerful Protector" by Dr. Jimmy Gutman. 2. "User's Guide To The B-complex Vitamins" by Dr. Burt Berkson and Dr. Arthur J. Berkson. 3. "The New Encyclopedia of Vitamins, Minerals, Supplements and Herbs" by Nicola Reavley. 4. "Prescription For Nutritional Healing" by Phyllis A. Balch, CNC. 5. Folate and vitamin B12 deficiency and hyperhomocysteinemia promote oxidative stress in adult type 2 diabetes. Al-Maskari MY, Waly MI et al. Nutrition. 2012 Jul;28(7-8):e23-6. 6. Pilot study of the effect of methyl B12 treatment on behavioral and biomarker measures in children with autism. Bertoglio K, Jill James S et al. J Altern Complement Med. 2010 May;16(5):555-60. 8. B-Vitamin dependent methionine metabolism and alcoholic liver disease. Halsted CH. Clin Chem Lab Med. 2013 Mar 1;51(3):457-65. 9. A new role for glutathione: protection of vitamin B12 from depletion by xenobiotics. Watson WP et al. Chem Res Toxicol. 2004 Dec;17(12):1562-7. 10. Glutathione increases the binding affinity of a bovine B12 trafficking chaperone bCblC for vitamin B12. Jeong J, Kim J. Biochem Biophys Res Commun. 2011 Aug 26;412(2):360-5. 11. Destabilization of a bovine B12 trafficking chaperone protein by oxidized form of glutathione. Park J et al. Biochem Biophys Res Commun. 2012 Apr 13;420(3):547-51. 12. How common is vitamin B-12 deficiency? Allen LH. Am J Clin Nutr. 2009 Feb;89(2):693S-6S. 13. Biologically active vitamin B12 compounds in foods for preventing deficiency among vegetarians and elderly subjects. Watanabe F, Yabuta Y et al. J Agric Food Chem. 2013 Jul 17;61(28):6769-75. 14. Advances in the understanding of cobalamin assimilation and metabolism. Quadros EV. Br J Haematol. 2010 Jan;148(2):195-204. 15. "The Methionine-Homocysteine Cycle And Its Effects On Cognitive Diseases" by Alan L. Miller, ND.